In the Second Quarterly Report of iReport.ie, published today by ENAR Ireland, 23% of incidents originating in Ireland involved social media platforms including Facebook, Twitter and various internet forums. “Manifestations of hate speech and other forms of racism on social media are disturbingly extreme”, said Shane O’Curry, Director of ENAR Ireland. 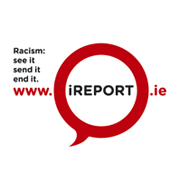 “The latest Quarterly report on racism details a variety of online incidents ranging from racist name-calling and stereotyping; to threats of violence; to death threats; to expressions of sentiments that can only be described as genocidal”. 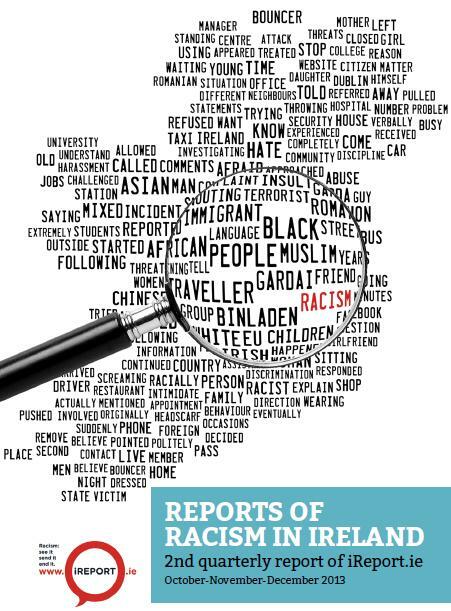 ENAR Ireland’s Quarterly Reports have attracted European-level attention and are being cited as best practise by the Fundamental Rights Agency, as well as the European Network Against Racism and the United Nations Committee for the Elimination of Racial Discrimination (UNCERD). * Black Africans are the most likely to be reported victims of public racism. *Several reports were made of incidents involving spitting. ~ To ensure the analysis of the iReport reporting system is in line with robust international standards of data collection and analysis ENAR Ireland has partnered with Dr Lucy Michael, Lecturer in Criminology at the University of Hull. Dr Michael is an authority on hate crime recording systems and on the impact of hate crimes on communities. She is the author of several works in the area including ‘Hate Crimes against Students’ (2013) and ‘Securing civic relations in the multicultural city’ (2009). She is a member of the British Society of Criminology and an Executive Committee member of the Sociological Association of Ireland and the UK Editor of the Irish Journal of Sociolology.